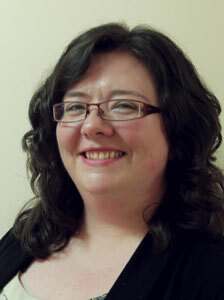 Rose joined Woodlands Hospice in April 2011 with a wealth of experience in health and business. Having spent the first 20 years of her career in banking, reaching middle management in H.R. and Operations, she then moved, in 1997, to St. John’s Hospice in the Wirral as the Administration and Personnel Manager, and nominated Deputy to the Chief Executive. In 2005, Rose took up a new position in the N.H.S. working for the National Prescribing Centre (N.P.C. ), progressing to the Director of Corporate Affairs role before N.P.C. merged with the National Institute for Clinical Excellence (N.I.C.E.) in 2011. Qualified in Human Resources (M.C.I.P.D. ), Rose has a keen interest in people management and development. She describes her role as Chief Executive of Woodlands as her dream job, bringing together the 40 years of her varied career, qualifications and life’s experiences. Having lost her father to cancer in 1990 at a young age, she is passionate and driven to ensure patients and families receive the highest standards of care at all times. Dr Marley completed undergraduate training in Liverpool in 2002 and stayed in the North west to do further training in Palliative Care, her interest in the field having been sparked by her medical school placement at Queenscourt Hospice. Her first year of Higher Specialist Training was in the Aintree Palliative Care Service in 2008 and she was the very first registrar on Woodlands Hospice Inpatient Unit in 2009 on the day it opened. She completed her final year of training in Aintree also and after 18 months as a locum consultant in Warrington she was delighted to be able to come back home to Woodlands as a consultant. Dr Marley has several interests including interventional pain management and she has a specialist clinic with her colleagues from the Walton Centre where pain interventions are arranged for patients from all over the country. She is passionate about achieving the highest standard of palliative care for patients wherever they may be and advocates strongly for education for all professionals involved in delivering this care. She has a postgraduate certificate in clinical education and leads the provision of education about Palliative Care for professionals across our catchment area. Having qualified as a Registered Nurse in 1992, Carole moved to Specialist Palliative Care in 2001, and was a key member of the Palliative Care Unit at Aintree University Hospital, with Consultant Dr. Ged Corcoran leading this specialty. Carole was appointed the Ward Manager of the Palliative Care Unit at Aintree University Hospital in 2005, and led the nursing team through the transfer in 2009 when the Aintree ward and its staff transferred to Woodlands’ newly- built Inpatient Unit. Carole quickly became a member of Woodlands’ Senior Management Team, and her role progressed through Inpatient Services Manager to her current role of Hospice Patient Services Manager. Carole is passionate about all her patients and their families, and has a keen interest in Patient Safety and Medicines Management. She is also the Nurse Lead for our developing programme of caring for patients with dementia.